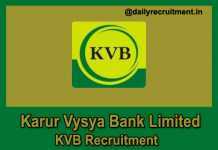 JK Bank Admit Card 2019: Jammu & Kashmir Bank recently has released the Preliminary Admit card for Probationary Officer & Banking Associates posts. It has planned to conduct the written examination on 22.04.2019 (PO) and 24.04.2019, 25.04.2019 & 26.04.2019 (BAS) at Jammu & Kashmir state. Aspirants who are seeking Bank Jobs in JK state can use this opportunity. 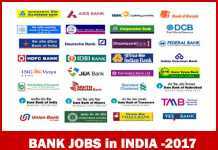 J&K bank already published the recruitment advertisement for PO & Banking Associates posts on Oct 2018. Applicants who have applied and waiting to write the exam kindly get your JK Admit card from 12.04.2019 & 14.04.2019 at official website. JK bank recruitment exam date, time and venue details are given in the hall ticket. As per the J&K Bank recruitment notification, overall 1450 vacancies are allotted for PO (250) & Banking Associates (1200) posts. There are huge number of candidates were applied this recruitment and waiting for their admit card those aspirants download your admit card from JK Bank careers by using their registration number & password. Contenders who have cleared the JK bank prelims exam those aspirants only eligible to attend the main exam and interview. After that selected aspirants will be posted at JK bank, Jammu and Kashmir state. More details of JK Bank exam date, syllabus, merit list, cut off marks, result, selection list and etc. will be uploaded on official website. You may visit JK Bank careers to get more details about this JK Bank call letter. 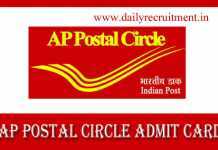 Here you will get information like admit card details, how to download the admit card and direct link. Keep check dailyrecruitment.in regularly to get latest updates. Jammu & Kashmir Bank will conduct the preliminary exam for 100 marks and subject wise marks details are given below. Go to official website jkbank.com. 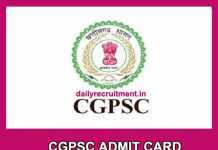 Click “careers” find the admit card link. Click on the link login page will be opened. Enter you registration number and password then click login button. 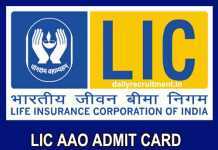 Now your admit card shown on the screen you may download it.